The U.S. Air Force last week released two technical reports demonstrating that GPS continues to deliver exceptional performance to civilian users around the world. The 2014 and 2015 performance reports confirm that the GPS Standard Positioning Service (SPS) satisfied nearly all measurable performance commitments documented in the GPS SPS Performance Standard, furthering the status of GPS as the “Gold Standard” for positioning, navigation, and timing (PNT). GPS is a U.S. Air Force satellite system that provides highly dependable PNT services to military and civilian users around the world, free of direct user charges. 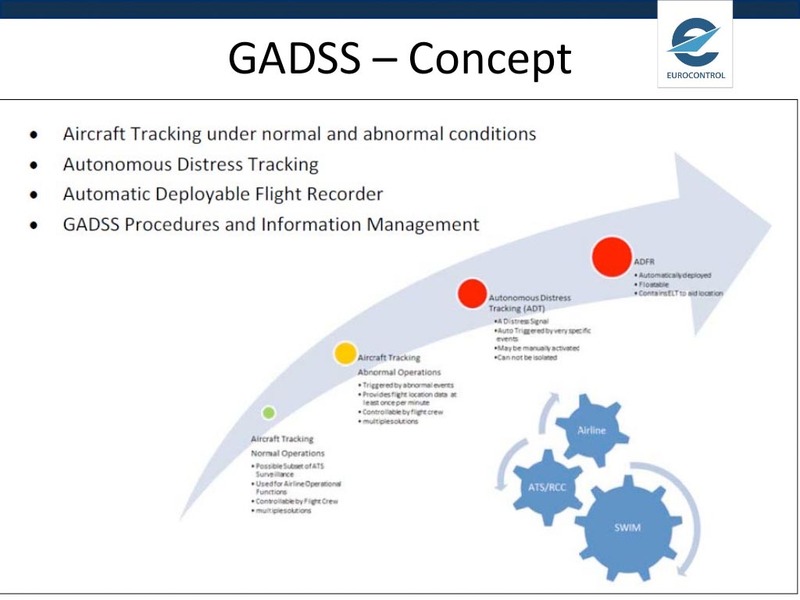 Operated by the 50th Space Wing at Schriever Air Force Base, Colorado, the GPS constellation provides precise PNT services worldwide 24 hours a day, seven days a week. The GPS Directorate at the U.S. Air Force’s Space and Missile Systems Center commissioned the GPS SPS performance reports to enhance public transparency of the real-world performance of civil GPS. The 2015 GPS SPS Performance Analysis, commissioned by the Air Force, can be viewed at the GPS.gov website, while a summary of the 2015 Performance Metrics examined for 2015 is available on the GPS Performance page at GPS.gov (http://www.gps.gov/systems/gps/performance/). The full report is also available (http://www.gps.gov/systems/gps/performance/2015-GPS-SPS-performance-analysis.pdf). 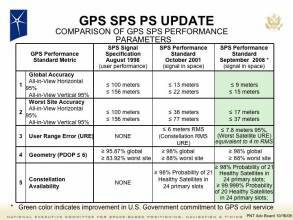 The GPS.gov website also includes links to view the 2013 and 2014 GPS SPS Performance Analysis, as well as a page on GPS accuracy. The new reports, released June 16, confirm that GPS met all the evaluated commitments for calendar years 2014 and 2015 with one exception. The lone exception was that the reporting notification commitment for scheduled GPS satellite interruptions during calendar year 2014 was only met in 29 of 30 cases (96.7%). Most GPS users, however, were not impacted by this single delayed notification, according to the reports. In this single case, the U.S. Air Force only provided 17 hours of advanced notice, as opposed to the SPS PS commitment of at least 48 hours advanced notice, before the scheduled satellite interruption. The oldest GPS satellites still provided an impressive average signal-in-space accuracy of 2.8 meters during their worst performing month of 2015 – well surpassing the target accuracy metric, according to Applied Research Laboratories, the University of Texas at Austin (ARL:UT). On average, the signal-in-space accuracy of the GPS constellation in 2015 was 1.4 meters, which is a 0.4-meter improvement over the accuracy in 2013. The GPS SPS performance reports are generated by ARL:UT, which is a Department of Defense University-Affiliated Research Center. Using data from 33 GPS monitoring and reference stations located around the globe, the ARL:UT team assesses GPS performance against the commitments defined in the 2008 GPS SPS Performance Standard. The ARL:UT reports focus on those commitments that can be verified by anyone with knowledge of standard GPS data analysis practices, familiarity with the relevant signal specifications, and access to a Global Navigation Satellite System data archive. ARL-UT expects to complete the 2016 SPS performance report later this year. The National Coordination Office for Space-Based PNT maintains the GPS.gov website to provide official information about GPS to the public. Related reading: Last summer Inside GNSS reported on a request by the GPS Directorate for public comment on interface specification changes for signals in space.